Black Pepper essential oil has a penetrating aroma that stimulates, warms and tones. It's ideal for massaging on the abdomen for digestive problems and the muscles for pain relief. 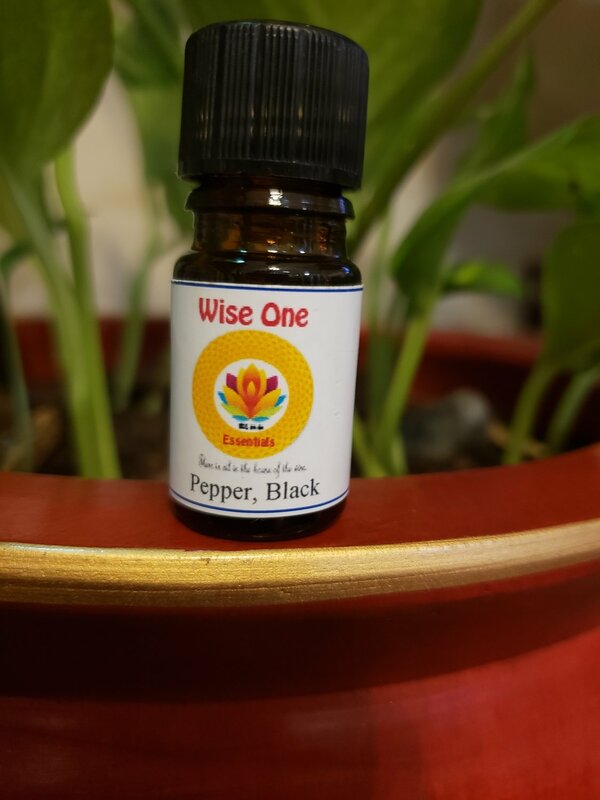 Black pepper essential oil is useful in blends for painful joints, aching and sore muscles, and can be utilized as a pre-sports or dance rub to help maintain suppleness. There's been some interesting research linking Black Pepper oil with quitting smoking. To learn more, check out our blog post. Black Pepper is one of the earliest used spices and produces an interesting effect when used in perfume blends. A warming oil, that is useful for chills, coughs and colds. Traditional use: muscle relaxant, pain relief, tonic, aphrodisiac. Black Pepper essential oil can be a skin irritant, so must be used with care.